The 11 new teams are greeted by Phil, Rob & Brennan, Kym & Alli and some excited fans at the Starting Line on Venice Beach. The teams’ first destination is Rio de Janeiro, Brazil. But there is only room for ONE team on the first flight with a 30 minute advantage. 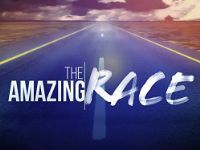 To get that one ticket, teams will hop into a taxi to Mother’s Beach where they will race other teams on a Schiller bike on the water to Burton Chace Park. There, they will also pick-up their backpacks and a Fitbit Charge. 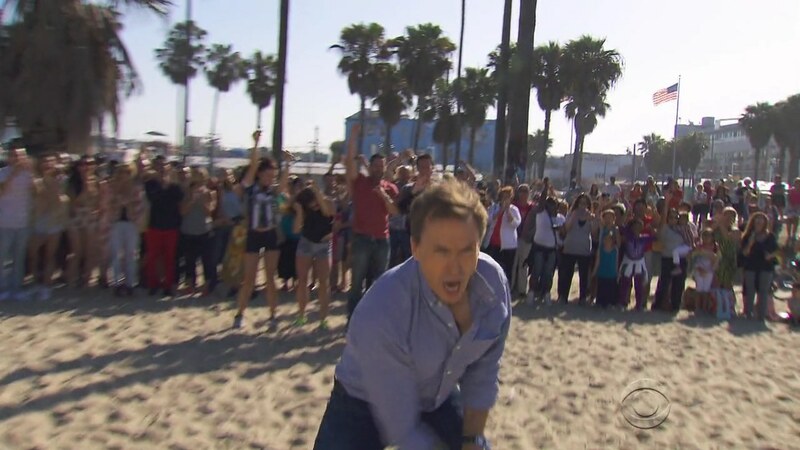 Justin & Diana, who got engaged after he staged an elaborate Amazing Race of his own, are Team #1 when they meet Phil. They win the tickets on the first flight. But that doesn’t matter because the first flight is delayed 20 minutes and the second flight is early by 5 minutes. Once in Rio, teams must head to the Lagoa Helipad. Justin & Diana arrive 1st and open the next clue to find a Fast Forward! 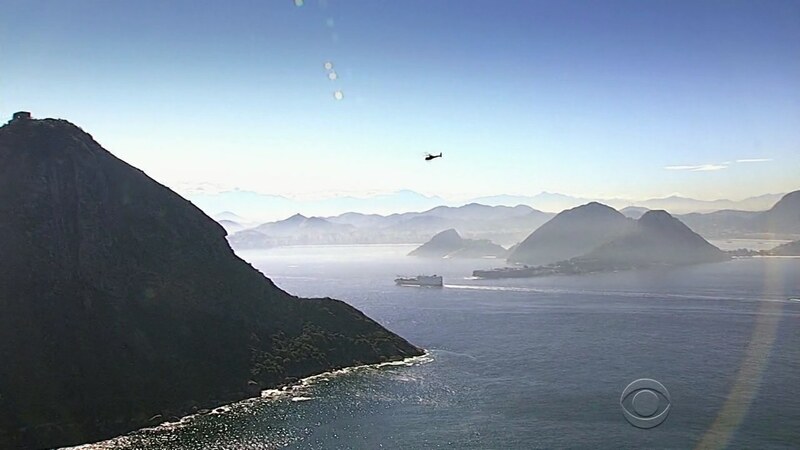 For this Fast Forward, teams must head to the Clube Sao Conrado Free Flight where they would hang glide over Rio. But the Fast Forward is weather dependent. Justin & Diana decide to go for it. Married doctors Cindy & Rick arrive 2nd, but decide it’s too risky to go for the Fast Forward. 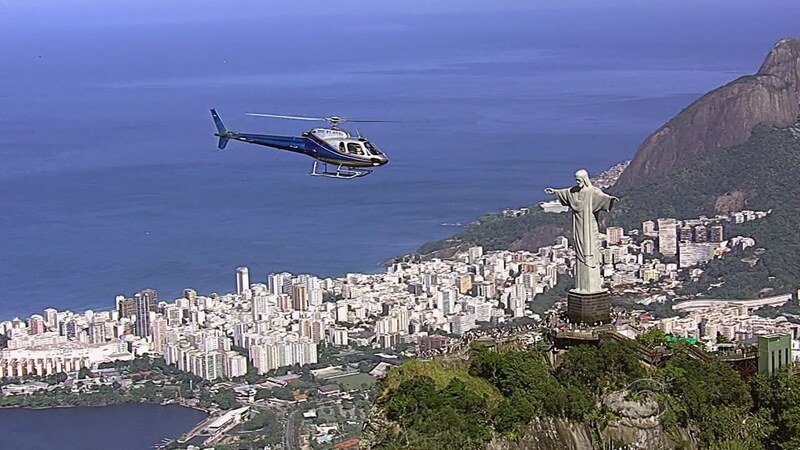 Instead, they will take a helicopter tour of Rio which includes flying by Christ the Redeemer. Once teams land at Urca hill, they must answer the heliport manager’s question about the landmark they just saw to receive their next clue. As the teams get in line, Justin & Diana arrive at the flying club only to be told the winds are too strong for them to be able to fly. Justin cries on the way back to the helipad. 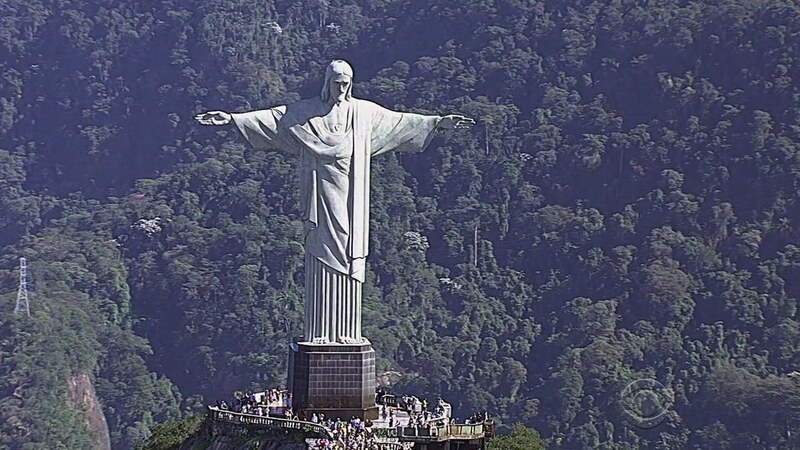 Meanwhile, Cindy & Rick land and correctly identify Christ the Redeemer. They open the next clue which reveals the Detour: Sand or Sidewalk. In Sand, teams will play footvolley against local pros. Being allowed to use their hands, teams must score six points before the pros score 18. In Sidewalk, teams must solve a slide puzzle of the sidewalk mosaic. 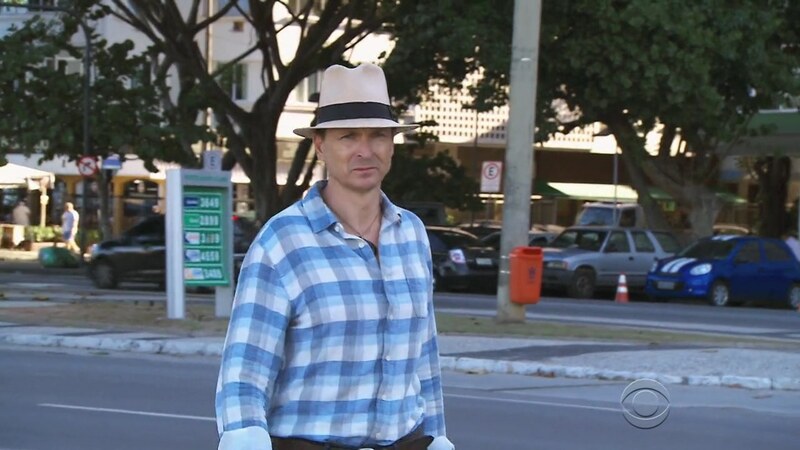 For both Detours, teams must dress appropriately for Copacabana Beach. Cindy & Rick choose Sidewalk as do mother & son Denise & James Earl who had a rough patch after he came out. Texas bros Tanner & Josh and track star friends Jazmine & Danielle choose Sand. Tanner & Josh and Jazmine & Danielle finish the Detour, no problem, and can now head to the Pit Stop at Arpoador Lookout. Denise & James Earl finish their puzzle and run to the Pit Stop, but Cindy & Rick are having trouble. Cindy suggests they switch. After finishing last at the water bikes earlier, Tanner & Josh instead arrive at the Mat and check-in as Team #1. Phil hands them the Express Pass which they can use until the end of the 5th Leg. Once they use the Express Pass, they must hand it to another team who must then use it on the next Leg. Jazmine & Danielle are Team #2. Team TMZ Kelly & Shevonne struggle at the footvolley so they decide to switch just as Cindy & Rick finish. They manage to get to the Mat to check-in as Team #3 while Denise & James Earl end up 4th. Dating anchor & reporter Kelsey & Joey decide on the puzzle while dancing brothers Ernest & Jin, cousins Alex & Adam and dating paparazzi Logan & Chris choose footvolley. Logan & Chris have an easy time scoring and head to the Pit Stop to check-in 5th. Justin & Diana, now in last, meet a nice cab driver who takes them to Copacabana even without money which they spent all on trying to go to the Fast Forward. Meanwhile, friends and former cheerleaders Tiffany & Krista get dropped off at the wrong spot. Justin & Diana choose the puzzle while Kelsey & Joey switch to footvolley which the just arrived Tiffany & Krista have chosen. Though they don’t stay for long and they switch to the puzzle. Alex & Adam, Ernest & Jin and Kelsey & Joey finish as Teams 6, 7 and 8. Justin & Diana, who switch to footvolley, finish and head to the Pit Stop as Team #9. Tiffany & Krista overcome their frustration and finish the puzzle. They step on the Mat as Team #10. Three hours and 45 minutes after they first started, Kelly & Shevonne finally finish the puzzle. But Phil has already come out to eliminate them. 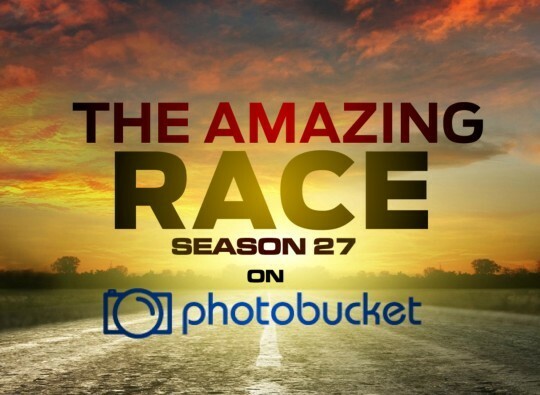 And let’s all be thankful The Amazing Race mothership is still alive at Season 27. But they’re certainly going to need to put together Legs better than this. On one hand, a first Leg Detour is much better since it has teams really competing against each other side by side. And it’s a natural way to have teams move ahead or fall behind. But the helicopter ride, while providing stunning views, did not help. We saw teams at the Detour in groups instead of the wonderful would-be free-for-all with all teams there at the same time. They seemed to have enough stations for all 11 teams. Why the need to space them out with the helicopter ride? So in that sense, this was a bare bones Leg which has become the norm in recent TARs. I don’t really like that since the first episode needs to be much more exciting and fast-paced. The premiere is always the episode that gets people hooked. And at this point in time for TAR, they really need another WOW premiere. Something like a TAR17 watermelon water cooler viral moment or task that gets people interested to tune in. Anyway, there was a slight graphical tweak for this season. The airplane line under the names is alright, but I don’t like the yellow green color of the font. They should’ve kept it white. And now the subtitles are white, but I feel like the yellow subtitles are much better and signature TAR. Overall, an alright, if not slightly bland premiere episode. None of the teams even really stood out either. But at least there are no gimmicks this season. You’d think with only one significant task on the Leg, we’d get more time to meet the teams. But we didn’t. How is that possible? Denise & James are the ones that stood out the most, relatively speaking. I can see them as a Margie & Luke-type of team both as Racers and personality-wise. That’s not necessarily a bad thing. Cindy & Rick could be an interesting team. Yay Asians. 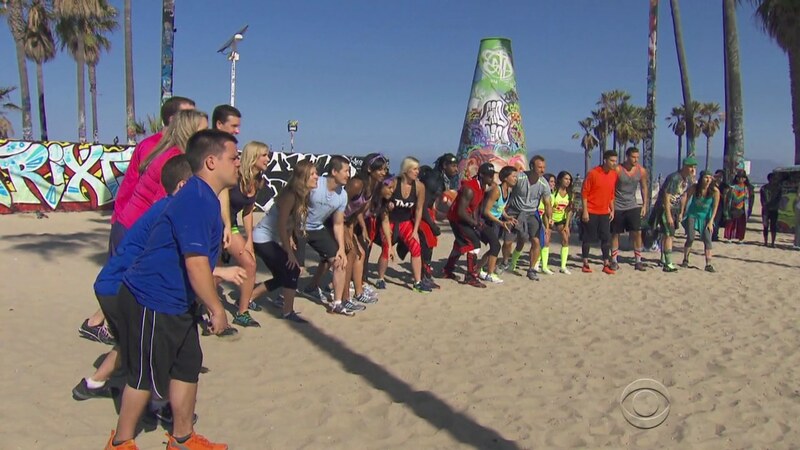 Tiffany & Krista were almost eliminated. But I’m putting up this high mainly out of anticipation over their potential. There’s a video of them running around Argentina during Leg 2 or 3. And they were awesome. We could see some fun moments with them. I was actually ready to not like Kelly & Shevonne because of the TMZ connection. But I think they could’ve been a fun team to watch. They got pretty snippy with each other which is always great. But they probably would’ve gotten into some tension with other teams too which also provides some fun. Too bad they’re horrible at puzzles. Tanner & Josh, Ernest & Jin, Alex & Adam, Jazmine & Danielle, Logan & Kris and Kelsey & Joey were all just okay. Though Kelsey & Joey better not pretend they’re anchoring the news again anytime during the Race. Nope. And for all the time spent on Justin & Diana, they were actually kinda boring. Even with Justin’s crying everywhere. Overall, not a good first impression of the cast. But hopefully that changes. ← Recap: Kamen Rider Drive, Episode 47 – Who Will You Entrust the Future to, My Friend? Another underwhelming premiere. What’s new with modern TARUS? But I have a question, would reassess your all time teams? It hasn’t been change for like years now?